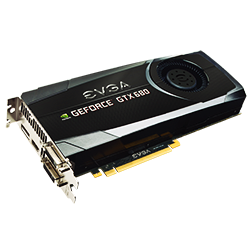 AVADirect are now selling the new Nvidia GTX 680 graphic processing unit. The GTX 680 promises to reach new heights and create a serious impact in gaming and 3D rendering performance. Armed with NVIDIA's new GTX 680 graphics processing unit, AVADirect now begin to offer lower-cost, performance oriented configurations in one unique package. Configurations, such as gaming, workstation, and image generators can take advantage of the 3D vision capabilities offered by the GTX 680. Previously, SLI configurations were recommended for optimal performance and visual experiences. Now, the GTX 680 allows end-users to take advantage of the full capabilities offered by a single GTX 680 graphics processing unit.